Edited by Wayneable, 02 August 2018 - 04:07 AM. TACAM T-38 (Tun Anticar pe Afet Mobil - Self-propelled Anti-tank Gun) was a Romanian tank destroyer design for use in World War II. In 1943, forty captured Soviet 76.2 mm field guns were in storage to rearm the T-38 tanks used by the Romanian Army. 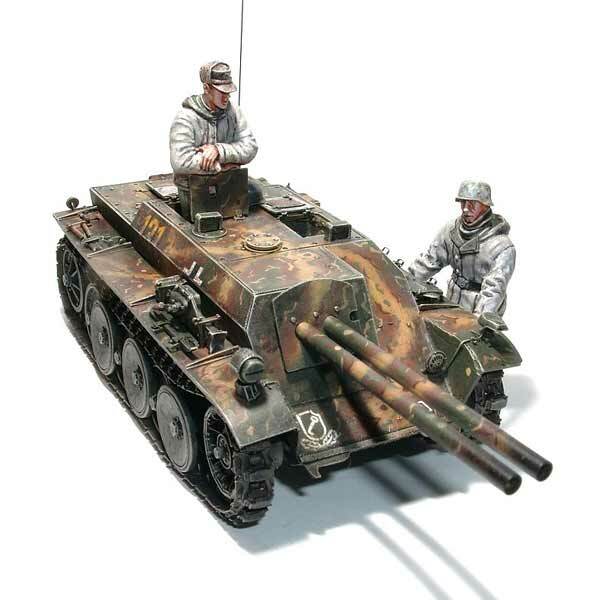 The tank destroyer would have resembled the German Marder III. Because the TACAM R-2 project was never completed, the project was cancelled after King Michael's Coup. 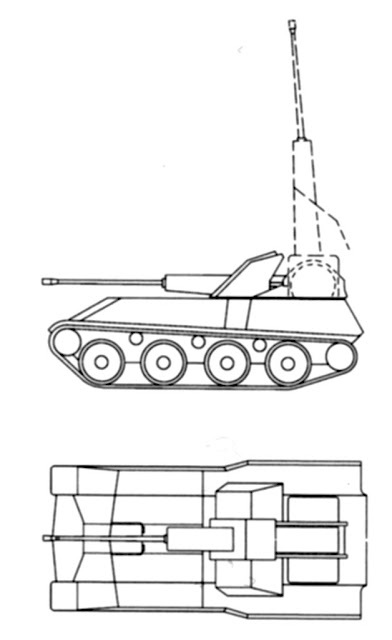 The TACAM T-38 was going to be built by removing the turret of the T-38 light tank and building a pedestal to mount an ex-Soviet 76.2 mm (3.00 in) Zis 3 field gun in its place. 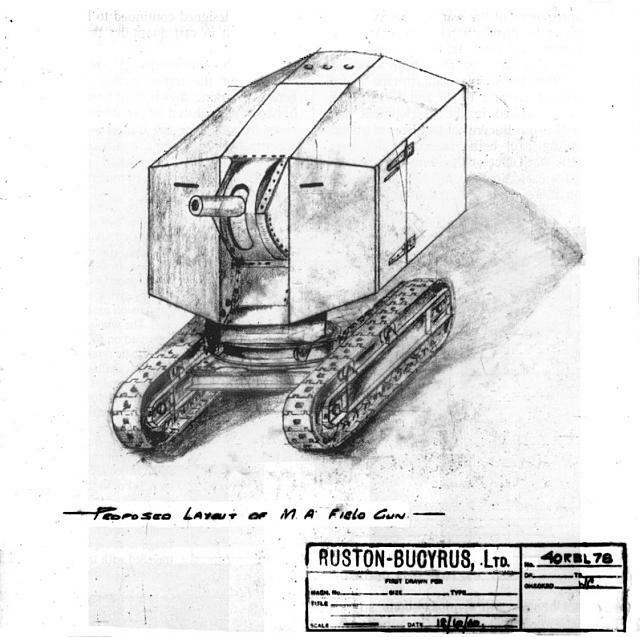 A three-sided fighting compartment was built to protect the gun and its crew. The fighting compartment was to be built using armor salvaged from captured Soviet tanks. These modifications would have taken place at Leonida Works in Bucharest. 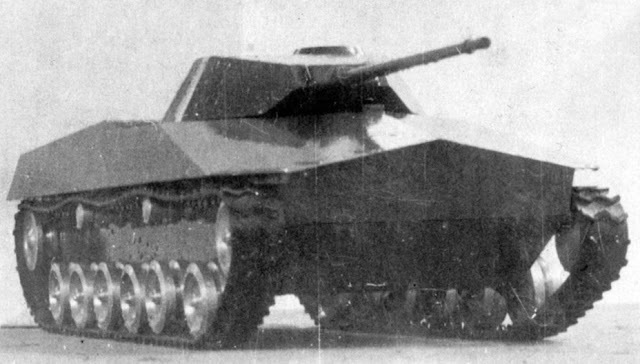 The TACAM R-2 tank destroyer production was halted in July 1944 because the gun was thought inadequate to face the new heavily armored IS-2 tanks being fielded by the Soviets. After King Michael's Coup, the TACAM T-38 project was completely abandoned. Edited by Wayneable, 10 August 2018 - 11:19 AM. The Mareșal was a tank destroyer produced in limited numbers during the Second World War by the Kingdom of Romania. It has been proposed that the vehicle is the inspiration for the German Hetzer tank destroyer. Tier IV LT (and actually somewhat useful as the only full crew trainer for the Cruiser III line up to the Covenanter), armed with the same 75mm pop-gun as the Excelsior. Basically a Premium counterpart to the Valentine with a taller silhouette but moderately better armour, also with an extra man serving as a dedicated Gunner. In reality it was absolute sh*t and crippled its crew (particularly the driver) rather than trained them, but then many post-war Soviet tanks were also utter cramped-space abominations when it came to crew comfort so whatever. Tier II MT, almost certainly a New Year/WoT B'day gift tank if ever introduced because BY GOLLY with a crew of only two men it ain't gonna be useful for any sort of crew training other than for a Commander & Driver. Think of it as a slower, "armoured" alternative to the Light Mk. VI C (but armed with what is essentially the same crap gun as the T7 Combat Car). Would need either an inexplicably more powerful .50cal gun to allow it to fight Tier III tanks, or just lump it with PMM. Edited by StuffKnight, 10 August 2018 - 12:29 PM. Edited by scorpyonul13, 10 August 2018 - 12:43 PM. Bit obvious really, if you are British, the Chieftain. Probably a few more people want it. 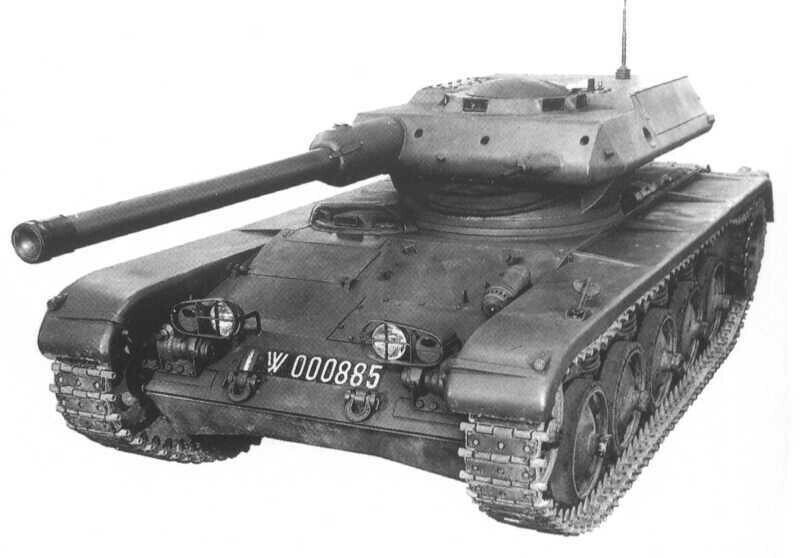 Tier V MT, generally similar to the Crusader in most gameplay respects (durr). "Contentious had a number of innovative features, and armour was one such area. The glacis plate was to have horizontal ribs, which would break up kinetic energy rounds and provide a high degree of protection against HESH. Behind this plate was a gap of four feet, which was to be filled with fuel. Every 3″ of fuel provided protection equivalent to 1″ of armour, so the fuel tank added protection equivalent to a 16″ thick armour plate. The back plate, behind the fuel tank, was 40mm thick. This arrangement was found to be invulnerable to Conqueror’s 120mm gun at point blank range, and all known anti-tank guided missiles. Side skirts were also to be fitted, and internal linings would protect the crew from nuclear radiation and back-spall armour fragments. A great concern was the loss of fuel, and so the fuel tank was to be compartmentalised to minimise fuel loss"
The fighting compartment appears to be traversable like a turret in this picture below. More pictures shows how the hydraulics worked. Vickers A1E1 Independent. NOW. How else will I train my Medium III crew? Oh, would definitely like to see the Bagel 57 appear as an alternative Tier X. Was good fun in AW with that comedy autocannon; death by 1,000 shells! Skoda T-17 light tank project, September 1948. With this wealth of experience and direct contacts at the VTU (Vojenský technický ústav, Military Technical Institute), the overseer of new tank developments, Skoda began working on its own project. 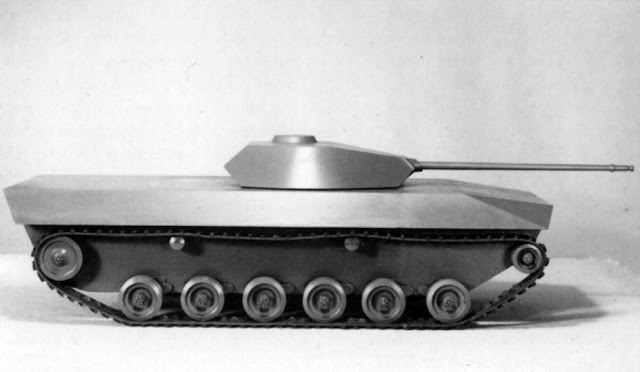 The tank received the index T-17 (T: tank, 1: light, 7: seventh prototype). Work began in 1948 and coincided with the changing outlook regarding the TVP project. Requirements changed, and the tank changed with them. 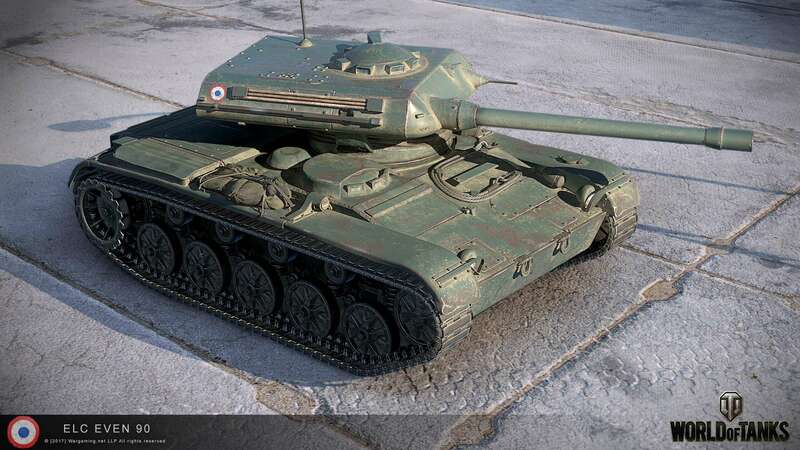 Presumably, the Czechoslovakian military obtained some information on the Soviet IS-3 heavy tank. There can be no other explanation for why the TVP, a mix of German and Czech technologies, suddenly began to resemble the Soviet tank. This was also true for the T-17, a draft project of which was ready by September 8th, 1948. 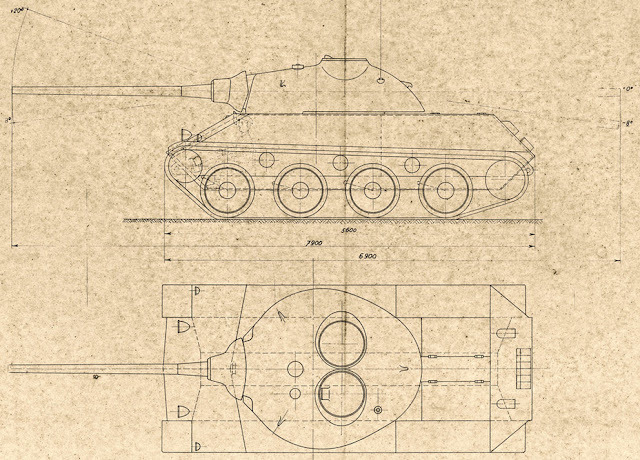 The 19-ton tank received a pike nose, similar to the IS-3, but its rear was more reminiscent of the T-34. A 275 hp 15 L V-8 engine brought it to life. According to calculations, the top speed of the T-17 with this engine would be 46 kph. Like the T-34 and IS-3, the transmission was in the rear. The tank would have four wheels per side and a torsion bar suspension. The cast turret was also reminiscent of the IS-3. It contained three crewmen and the 75 mm Skoda A 26 gun. Its characteristics were almost identical to the R 4 AA gun. In addition, the tank would receive three machineguns. The armour was up to 50 mm thick in the front and 25 on the sides. The thickness of the cast turret varied from 60 to 15 mm. 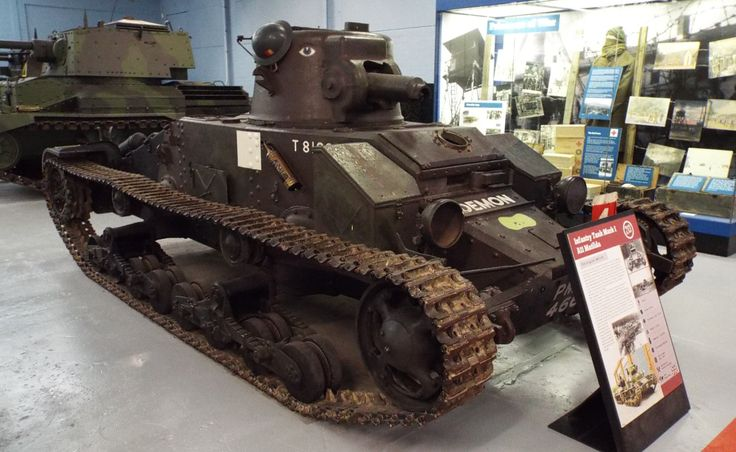 This was a satisfactory light tank for its time, equipped with worthy armour and armament. Skoda was not just building a light tank, but a special platform called LP (Lehký podvozek, light chassis), which served as the foundation for a large number of SPGs. Conceptually, they were similar to those later built by Skoda for the TVP program. These light vehicles were designed in 1948-49, four in total. Aside from the chassis, they were united by domestically produced armament that was being developed at Skoda at the time. 105mm ShH 14,3/540-LP self propelled howitzer, November 1948. Vehicles on the LP chassis were reviewed at a meeting of the Czechoslovakian Ministry of Defense on November 18-20th, 1948. The first was the 105 mm ShH 14,3/540-LP SPG. Blueprint Zb 5915-S showed the same LP platform. 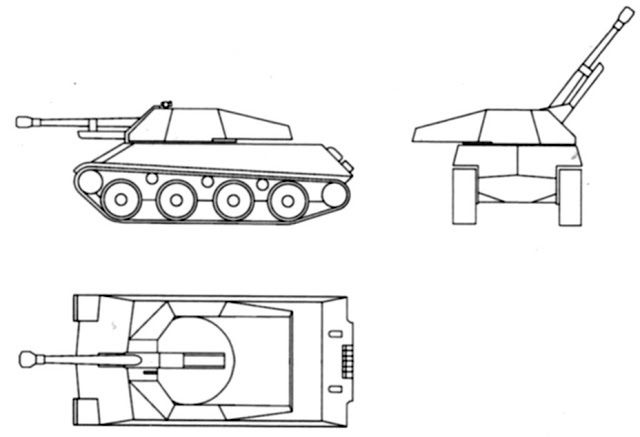 The only difference from the T-17 was that a new open-topped turret replaced the old closed up one. By that point, the 270 hp engine, which was a bit too weak for the T-17, was replaced with a 500 hp air-cooled turbocharged diesel. A Praga-Wilson gearbox was selected. According to calculations, the expected top speed was no less than 55 kph. It’s possible that Skoda was being too homble, since the T-17’s power to weight ratio grew from 14.2 to 26.3 hp/ton, and the SPG weighed even less than the tank, just 16 tons. The 105 mm ShH 14,3/540-LP was armed with the 105 mm Typ 17-1 (H-9) howitzer, which was being designed at Skoda since 1946. This weapon reached the experimental prototype stage. The 76.2 mm ShPTK 6.6/900-LP only differed from the SPG in armament. The 76.2 mm ShPTK 6.6/900-LP tank destroyer, blueprint Zb 5916-S, was almost an identical twin of the SPG. Instead of a howitzer, the tank destroyer was equipped with the 76 mm A 19 anti-tank gun. This was a further development of Skoda’s wartime anti-tank gun projects. The gun used the same ammunition as the Soviet ZIS-3. With a 5300 mm long barrel and a muzzle velocity of 915 m/s, the A 19 easily penetrated 100 mm of armour at 60 degrees from a kilometer away. As with the H-9 howitzer, work reached the experimental prototype stage. The gun never entered production, and is now on display at the Technical Museum in Lešany. The third vehicle on the LP platform, the ShPLK 2.12/1020-LP. 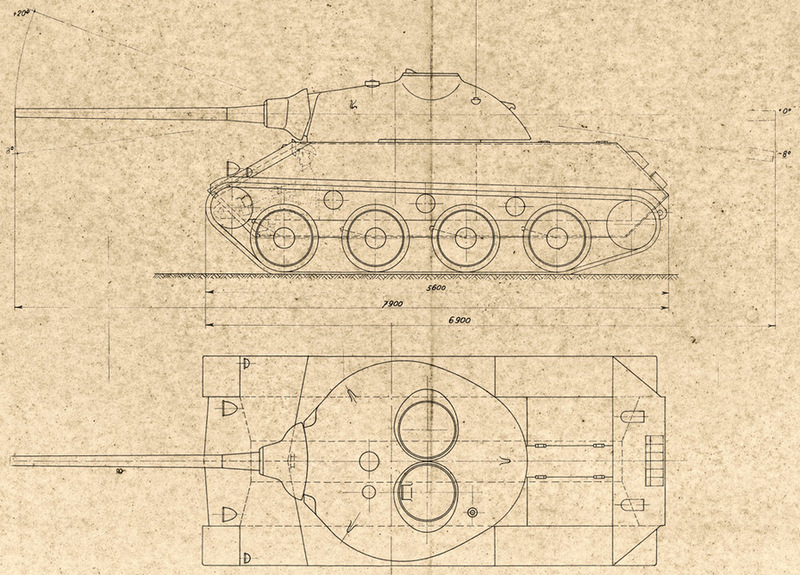 The third vehicle was the 50 mm ShPLK 2.12/1020-LP, blueprint Zb 5918-S. This project was similar to the Flakpanzer 38(t). The fighting compartment moved from the front to the rear, and the hull became wider. This was done so that a 50 mm AA gun that was being designed by Skoda since 1948 could fit into the hull. THe gun was based on the 57 mm R 8 autocannon. Unlike the other weapons, this one did not make it past the design stage. 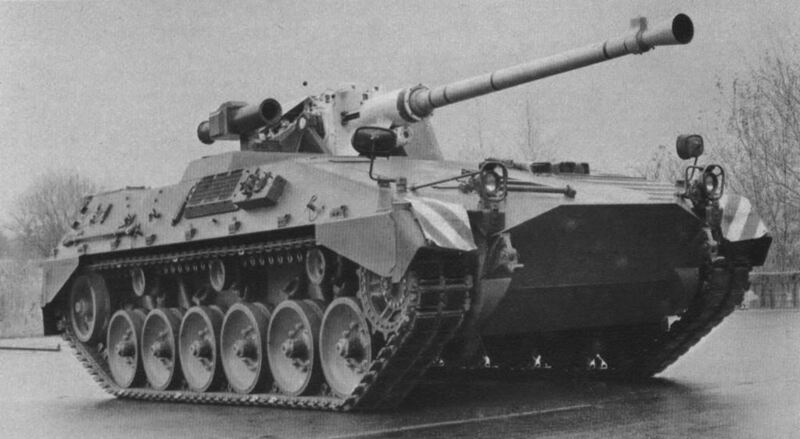 76 mm ShPTHK 6.6/900-LP, blueprint Zb 5920-S, a spiritual successor to the Jagdpanzer 38(t). The last project to be presented was the 76 mm ShPTK 6.6/900-LP tank destroyer, blueprint Zb 5920-S. Unlike the Zb 5916-S, this vehicle was more reminiscent of the Jagdpanzer 38(t). 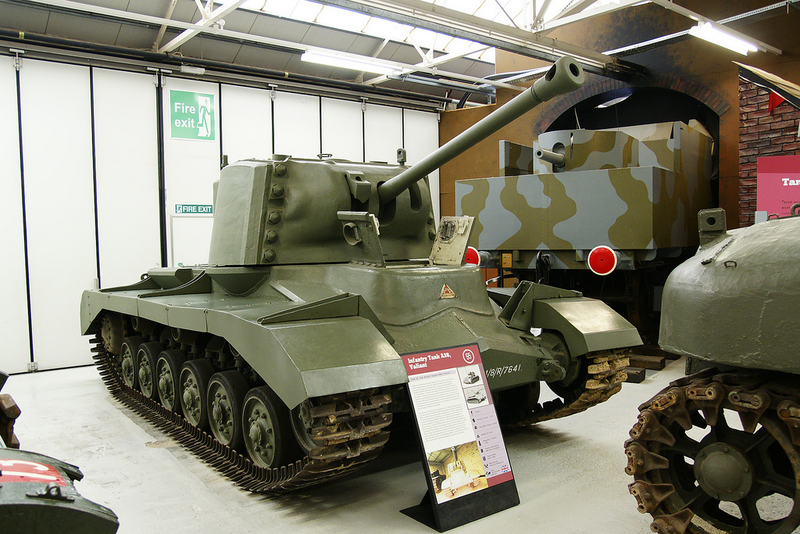 The 17 ton SPG had a fully enclosed fighting compartment with sloped armour. This layout allowed the vehicle to be a little lower, which is quite an important parameter for a tank destroyer. 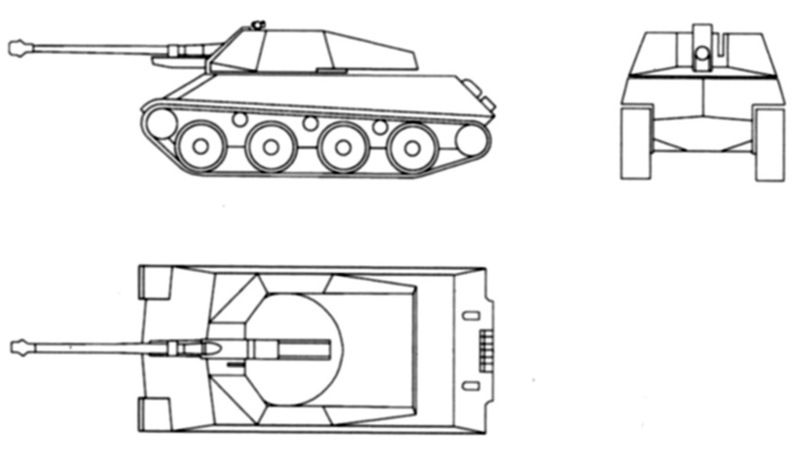 The mobility and armour was the same as in the previous designs. The LP projects, including the T-17, were reviewed at a large meeting, which was held on April 19th, 1949. Interest was shown in the main idea, but work slowed down. A year later, work on light tanks ceased. Around this time, the TVP suffered a similar fate. Many reasons are named. Some blame the Czechoslovakian communists, who were in favour of following the Soviet “older brother”. This is a somewhat fair assessment. This theory is most applicable to the TNH 57/900. It was rather obsolete, but it had the potential to be successful in third world markets. Politics, an increasingly important factor after the breakout of the Korean War, was a significant factor to the death of the export tank. However, the closure of the Czechoslovakian light tank program cannot be explained by politics alone. 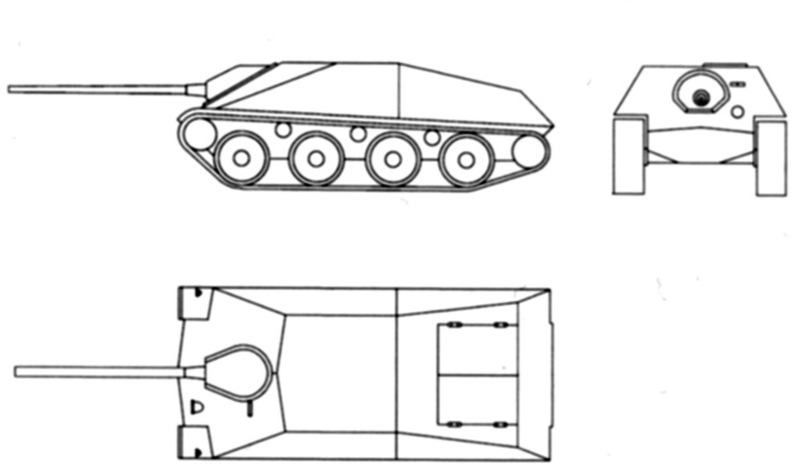 As of 1950, the T-17 and other vehicles on the LP chassis, just like the Skoda T 50 and other vehicles from the TVP program, existed only on paper. The continuation of the TVP program seemed a questionable endevour. Its replacement with a licensed copy of the T-34-85 was a reasonable measure. Light tanks were another matter entirely. Towards the end of 1950, light tanks were removed from the Czechoslovakian army. The light tank as a class fell out of favour. It was decided that medium tanks could handle the role just as well. The Czechoslovakian military realized its mistake after they found out about the Soviet PT-76 amphibious tank. In April of 1954, work on a light amphibious tank began at the Stalin factory in Martin, Slovakia. It was based on the VOZ amphibious vehicle, aka Tatra 807, which reached the experimental prototype stage. The tank project was indexed Letak (flyer). It weighed 15 tons and carried a 57 mm Skoda autocannon, based on the R 11 AA gun. 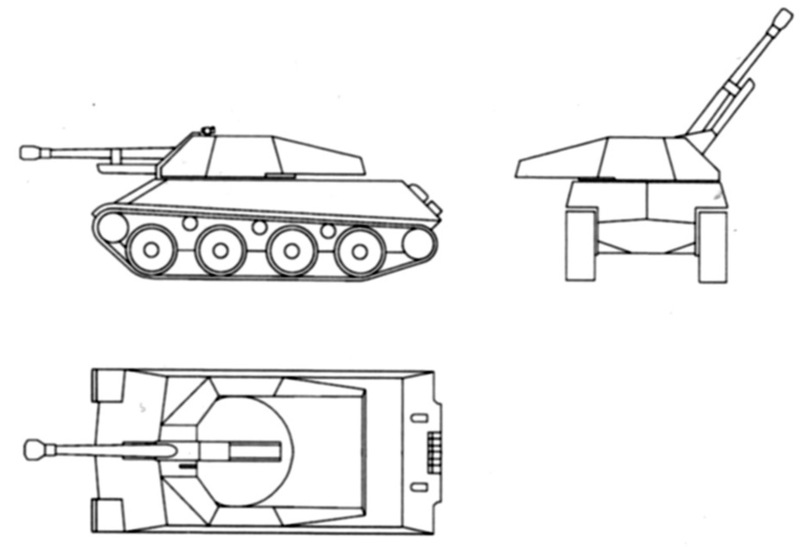 The hull of the Letak was altered during the design process, and the front became very similar to the front hull of the IS-3. The project was cancelled in February of 1956, and no replacement ever turned up. The Czechoslovakian army opted to not use the Soviet PT-76 in its army. However, a license for the amphibious BTR-50 armoured carrier was purchased. It was produced under the index OT-62. Reworked Letak with a new front hull. The fate of the T-17/LP and Letak programs reflects the short-sighteness of the Czechoslovakian military. 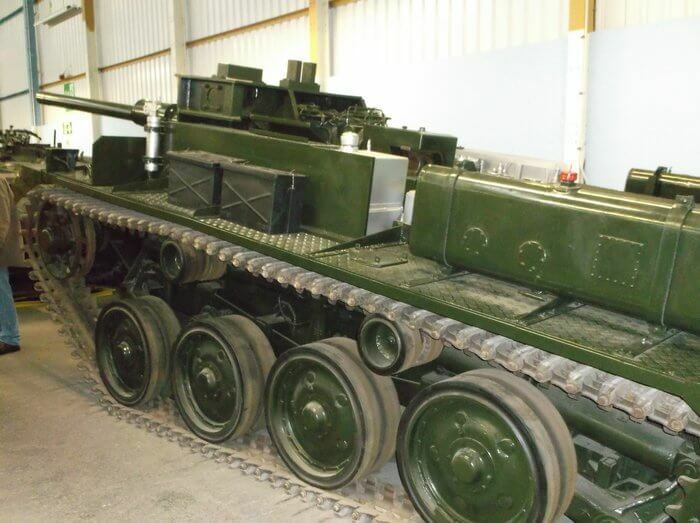 By the time the Letak was cancelled, Czechoslovakia was actively shipping tanks to Egypt and to other countries. Unwilling to develop its own light tanks, Czechoslovakian military and political leaders missed out on a sizeable share of the export market, which was gradually occupied by a new player, China, ten years later. 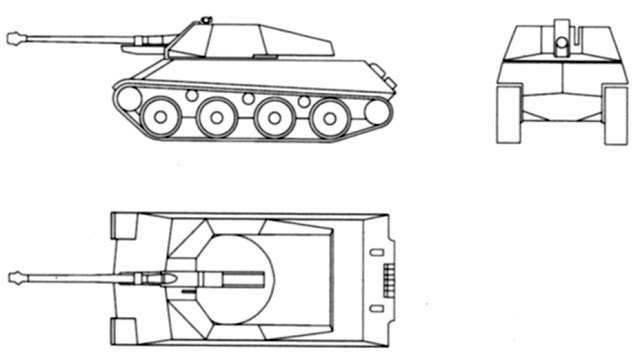 Chinese Type 62 light tanks had similar characteristics to the T-17. They were accepted into service in a dozen countries. An analogous situation occurred with amphibious tanks. Even the presence of the Soviet PT-76 did not impede the export of its Chinese clone, the Type 63.